Register now! We recommend booking ahead of time. Class space is limited. 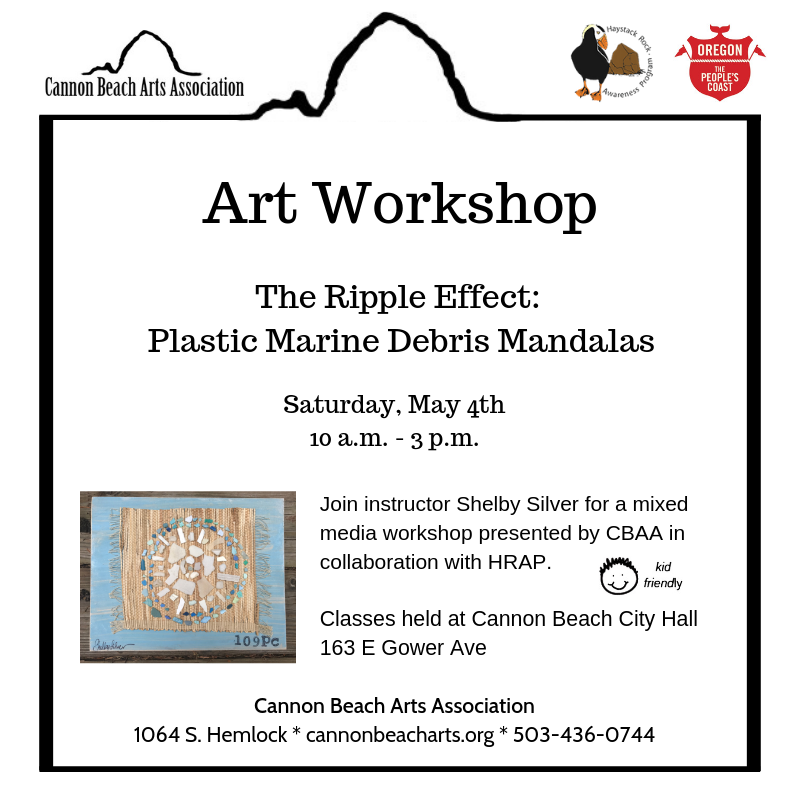 Workshop Description: The Haystack Rock Awareness Program and the Cannon Beach Arts Association invite you to join Shelby Silver, artist and instructor for the Ripple Effect, a workshop designed to demonstrate the environmental impact of marine plastics on our oceans to a young audience, that provides immediate and direct ability to make a difference as young stewards of a planet children will one day inherit. For years’ plastic, has been making its way to the oceans via our waterways and purposeful and accidental dumping. 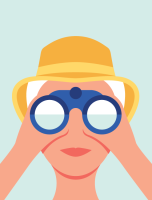 Each little piece having a major consequence and you can make a difference at any age! 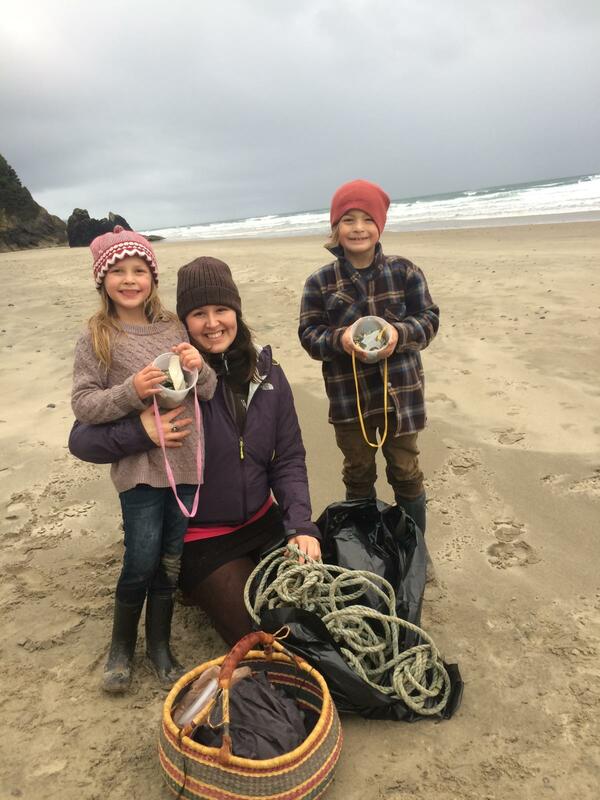 Come join us in a special adventure in the classroom and to the ocean to free the sea from plastic marine debris, and create beautiful plastic marine debris mandalas-a sacred circle, using colorful found beach plastic right from the sands of Haystack Rock. 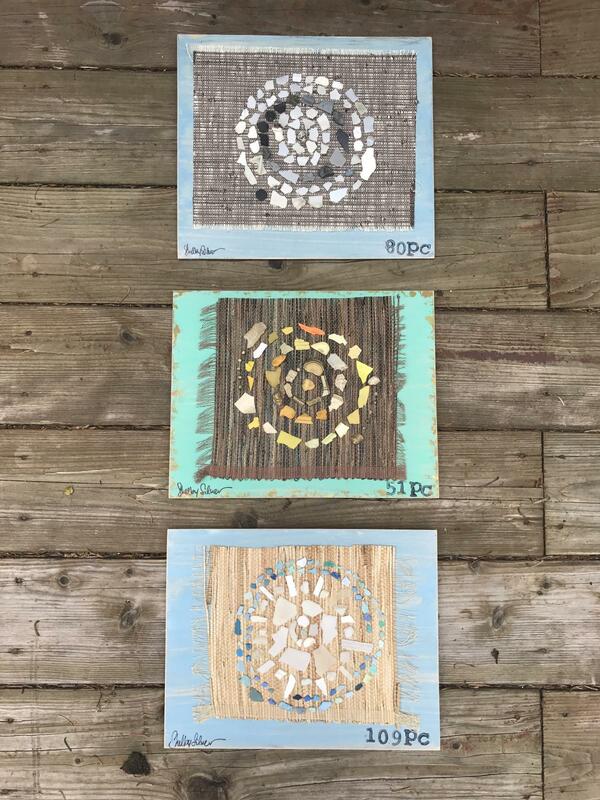 Students will get to take home a completed recycled art piece ready to hang as a reminder that: “Just as ripples spread out when a single pebble is dropped into water, the actions of individuals can have far reaching effects.” ~ Dalai Lama. 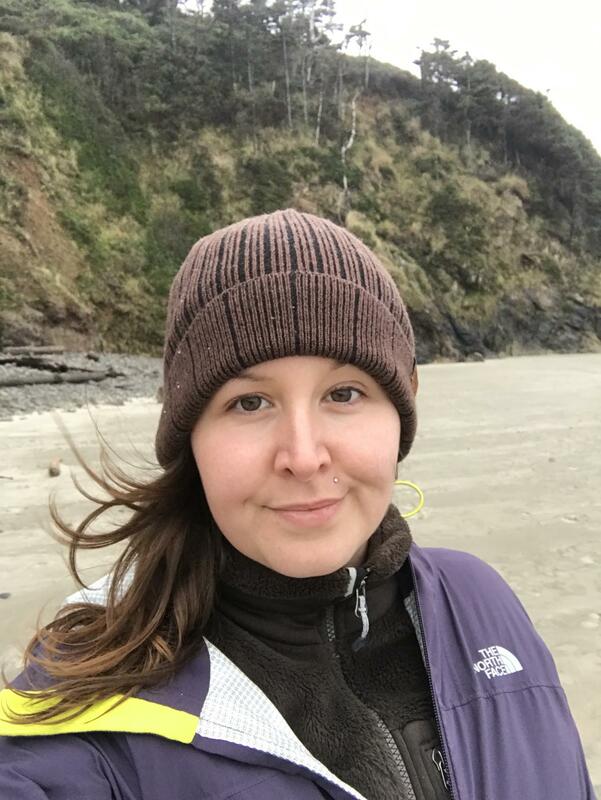 1) Shelby will share her special hand illustrated educational art flashcards to get students excited about the ocean, its creatures, and all the magic of the sea! 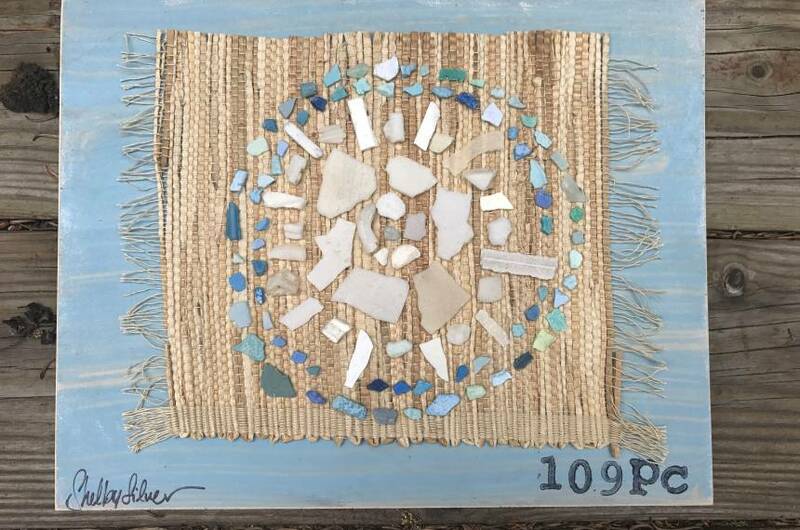 3) Free the Sea: We will spend time washing and drying our found plastic treasures, learning and sorting plastics by shapes, sizes and colors. 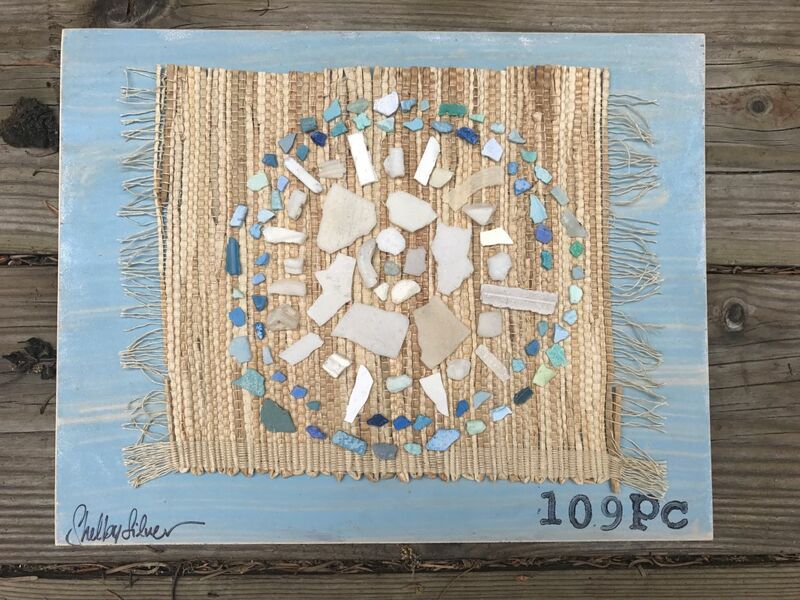 Students will then select materials to create their own special circle-Mandala art creation using the beach plastic from their morning beach hunt. 2) participant. If you will be creating your own art piece alongside your child, please register for a ticket for yourself AND your child, under age 18. Observer guardians are welcome in class free of charge. A packed lunch is encouraged as class will include a 1 hr lunch break and plenty of snacks and wiggle breaks as well. Since childhood I felt a strong connection to the earth, and the sea. I felt that there was something it was trying to tell me, and each day I would listen more carefully than the last as to what I could hear they were trying to say. I felt loved and comforted being outdoors, touching the sand of the beach with my feet, and the soil of the earth with my hands, set my heart alight. I knew after years of listening that the earth and ocean were asking me to protect it. The earth, alive, was showing me the deep power it has to heal us in all aspects. And of the great power that it holds to teach us about relationships between all living beings, most importantly ours in connection with the world around us. In order to protect and preserve, we must find value. We must connect and relate, because remembering our connection is remembering our responsibility to earth, sea, and all living beings. This is why I have chosen a path as an Environmental Artist.